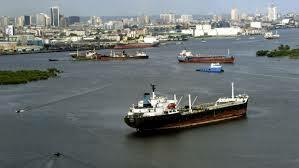 Tanker owners fear more of their vessels could be barred from lifting crude oil in Nigeria, Intertanko told IHS Maritime today. “Operators are concerned that if a ship within a fleet has breached the regulations, other vessels in the same fleet could be taken out of circulation,” Intertanko’s general counsel Michele White told IHS Maritime. Intertanko said today that it still awaits a response to its letter filed to the Nigerian National Petroleum Council (NNPC) on July 22 following the government directive to bar mainly VLCCs. “We are doing our best to get a response and to help get out owners off the barred list,” White told IHS Maritime, and confirming at least 46 of its members vessels are now known to be on the list. In April, the Nigerian government introduced a requirement that all tankers loading crude oil at its terminals complete an out-turn verification exercise (OVE), indicating the amount of crude lifted. Though the tanker ban did not specifically identify rules owners had breached, it is thought to be linked to this initiative. While the official government edict refers to 113 tankers, there were only 102 unique IMO registration numbers on the list. According to IHS vessel movement data, all of the tankers on the list have traded with China and a quarter of them have traded with Iraq or Iran. However, the rate impact of Nigeria’s tanker ban is expected to be positive, according to IHS Maritime & Trade principal analyst Andrew Scorer. Vessels positioned in the Atlantic Basin that are barred from Nigerian calls would have to ballast elsewhere to find alternate employment. “The good thing for owners is if vessels do have to ballast, their profits will be lower, but they will still profit, because their OPEX will be lower,” said Scorer. According to NNPC statistics, crude production has fallen by 12.3% over the past decade to 2.188 in 2014, and crude exports have fallen by 9.3% over the same period, to 2.183 million bpd. The banning is just one aspect of the broader oil and gas policy of Nigerian president Muhammadu Buhari. Since his 29 May inauguration, he has dissolved the NNPC board and vowed to “implement far-reaching reforms to Nigeria’s oil and gas industry”. This week, Buhari further removed all eight of the NNPC’s group executive directors appointed by the former president in 2014 as well as the groups managing director, Eng. Joseph Dawha.